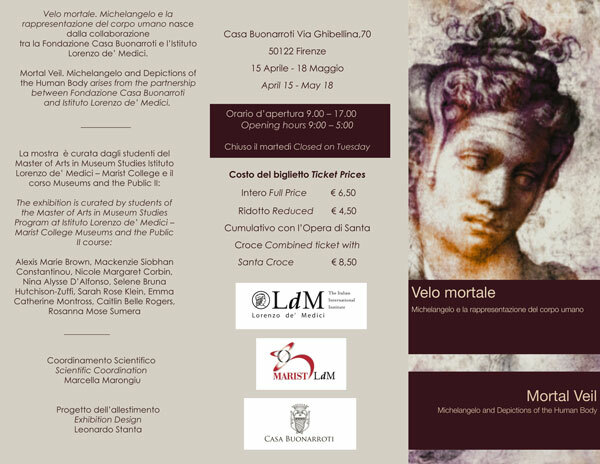 «Mortal Veil» Michelangelo and Depictions of the Human Body is this year’s chosen title. The exhibition explores the different components of Michelangelo’s studies of the human form. It focuses on three themes evident in his figure studies: anatomy, movement, and classical antiquity. Throughout the exhibition, visitors are surrounded by Michelangelo’s extraordinary genius and have a once-in-a-lifetime opportunity to view drawings that have not been exhibited in Florence for decades.